Lawyers draft wills that are all business. The fun starts when people take up a pen to draft their own will, without the assistance of a lawyer. Henry Durrell left a will providing that one of his three nephews would inherit his mansion and extensive estate in Bermuda. Which nephew? 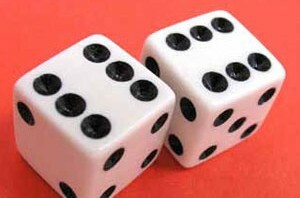 The will directed that the three men decide the question by throwing dice. They met at their late uncle’s mansion in Bermudaon March 15, 1921 to decide the question, as directed, over a pair of dice. Richard Durrell won. The credit for collecting these examples goes to Robert S. Menchin, who compiled them in a 1963 book, now long out of print, entitled “The Last Caprice.” It is one of many books and websites dedicated to weird wills and strange bequests. There is nothing wrong with stirring a little character into your last wishes. Avoid being nasty. Avoid being mischievous. Do right by your heirs. Remember, many of these wills entered the public record only because of the court battles that ensued. Finally, if you want to keep things calm, use a lawyer to help you plan and draft your will. With a quirky enough plan in mind, the lawyer may mount some resistance. Sometimes that can be a good thing. Next week’s column: Ronald Regan gives us a lesson in planning for incapacity.